Get ready to head back to the East Coast as Grand Theft Auto: Liberty City Stories returns to mobile devices with significant enhancements. 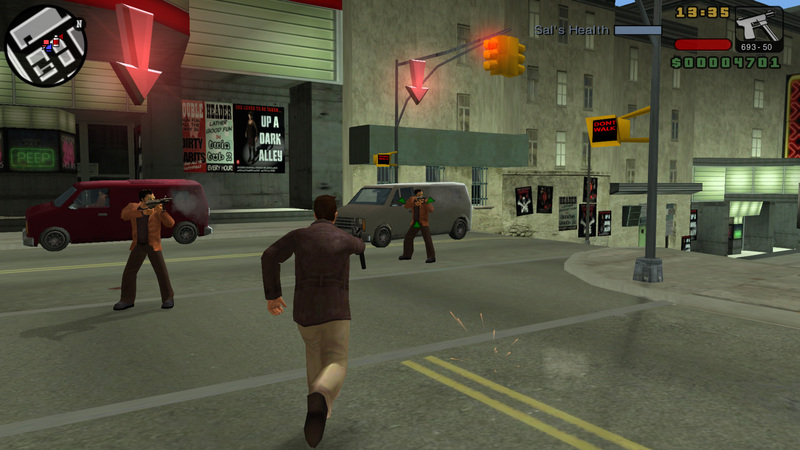 First released for the PlayStation Portable in 2005, Grand Theft Auto: Liberty City Stories is now available on the latest iOS devices, and coming soon for Android and Amazon devices. In addition to cross-platform cloud saves, if you download Liberty City Stories and then sign in to Social Club within the app, you’ll unlock the bonus I HEART LC t-shirt with the same account used in Grand Theft Auto Online for PlayStation 4, Xbox One or PC. Once you’ve signed in, the shirt will be available for free at any GTA Online clothing store (please allow up to 24 hours for the I HEART LC Shirt to be available in GTA Online). Watch today’s trailer above to catch a glimpse of Liberty City Stories in action, and for more details on the game visit rockstargames.com/libertycitystories.